Liposomes represent a tool used in cosmetics and for drug delivery due to their small size, biocompatibility, and ability to house both hydrophobic and hydrophilic molecules. However, under storage, there is a tendency for liposomes to release encapsulated components. In order to enhance their stability, combination with biodegradable polymers may be a promising option. Bacterial polymer poly(3-hydroxybutyrate) (PHB) is one such material that may contribute liposome structure, as it is also biocompatible and biodegradable and promotes controlled release of active agents in the skin. Nanoparticles consisting of PHB and phospholipids can be very attractive as biomaterials for application in cosmetics. In this work, novel combined PHB-liposome nanoparticles were synthesized and characterized, and their biocompatability with mammalian cells was assessed in vitro. 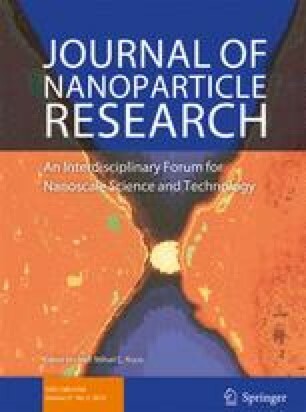 Incorporation of PHB into liposome particles led to preservation of small size (123.8 ± 0.9 nm; evaluated by DLS) and colloidal stability of particles for 2 months in water environment. Cytotoxicity studies using MTT test with two different skin keratinocytes cell lines (HEK and HaCaT) showed significant dose-dependent differences in cell viability after exposure to liposome and PHB liposome particles in vitro. However, these PHB-liposomes were not found toxic both for HEK and HaCaT cells. Regarding to natural UV-scattering effect of PHB, we suggest that newly fabricated combined liposome-PHB particles could exhibit added value as carriers of active substances for topical applications. However, further study is necessary in order to reveal interactions between this new type of particle and human cells. The author wants to thank to professor Vicki Stone and other people from Heriot Watt University, especially to Matthew Boyles, David Brown, and Mona Connolly for their advice, kind assistance, and manuscript proofreading. This work was supported by the project ”Materials Research Centre—Sustainability and Development” No. LO1211 of the Ministry of Education, Youth, and Sport of the Czech Republic. The authors received financial support of the measurements at the CF Cryo-electron Microscopy and Tomography from the CIISB research infrastructure project LM2015043 funded by MEYS CR.